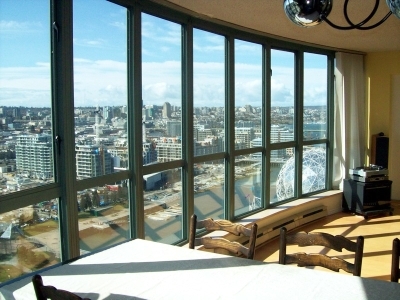 Enjoy breathtaking unobstructed 180 degree panoramic views of Mount Baker in the East, the city and the Athlete's Village in the South as well as the False Creek water front and Science World in the West, from this large 3 bedroom 2 bathroom sleeps-7 unit, located on the 24th floor of Citygate I. Citygate developer Nat Bosa's motto 'Life without Compromise' is reflected in the unusually large condo square footage, this one has 1417 sq.ft. plus a balcony. 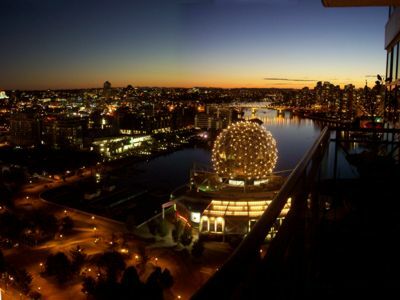 Even long before the Athlete's Village was built on its doorsteps, this building's balconies were treasured observation decks for famed Vancouver events such as the renowned Molson Indy car race, the annual Alcan Dragon Boat Festival in June, the Vancouver Sun Run, fireworks and other celebrations. 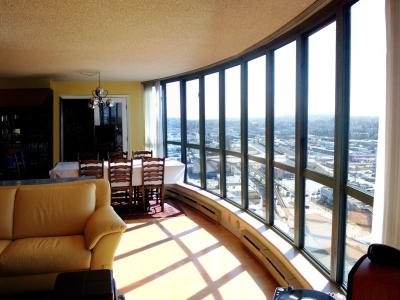 The condo offers accommodation for the 2010 Winter Olympic and Paralympic Games in Vancouver, Canada with unrivaled location, views, and travel connections, for up to 7 adults plus children. 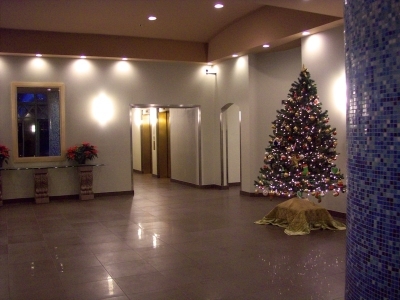 The condo has been completely renovated from top to bottom to the highest standard. 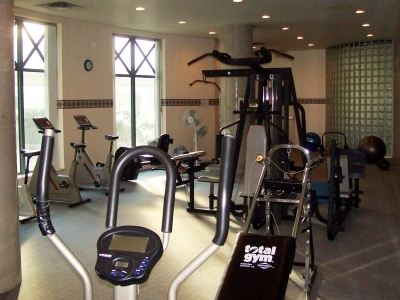 Engineered hardwood floors in all rooms, new custom-made bedroom suites, an integrated queen-bed set with storage in the master bedroom, and an integrated double wall bed in the second bedroom, new horizontal blinds, new closet shelving, and a new in-suite washer-dryer. The master bedroom and the living room open to the balcony, the second bedroom has two floor-to-ceiling glass fronts to the East and South, allowing the rising sun to wake you up. 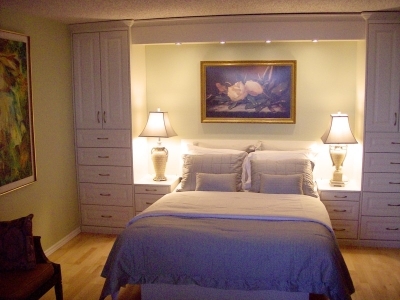 The third bedroom/den/office is equipped with a modern PC on a glass desk connected to Shaw Cable high speed internet, and a double or single bed. A double sofa bed in the living room completes the sleeping capacity to seven or eight persons, where extra beds for small children can be added to the master bedroom. 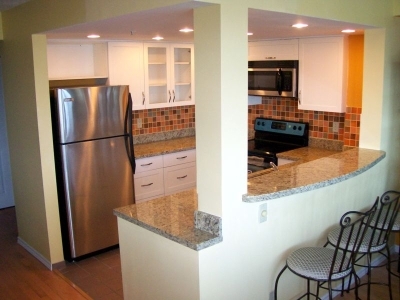 The kitchen is open and has been totally rebuilt with new granite countertops, new stainless steel appliances including fridge, stove, microwave, dishwasher, and new lights. It has an open breakfast bar sitting three persons. 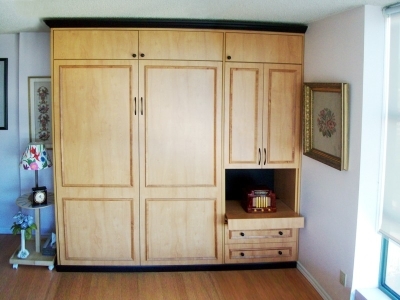 Ample space closets are available in the entrance hall, both bedrooms and the bedroom/den. 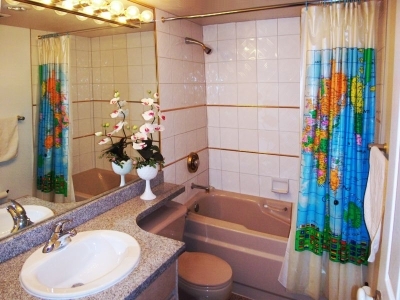 The master bedroom has an ensuite 5 piece master bathroom, and the second bedroom a 3 piece bathroom next door. 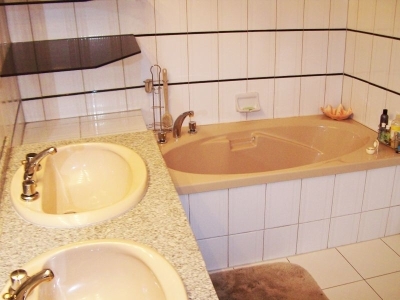 All bathroom cabinets have been equipped with granite countertops too. Three new HDMI High Definition 1080i LCD TV sets - a Sony 52 inch, a 47 inch, and a Samsung 37 inch - have been purchased and installed this year, all on Shaw Cable, all with surround sound and one with a Motorola DCT6400 160GB terminal, allowing double recording and watching on disk. 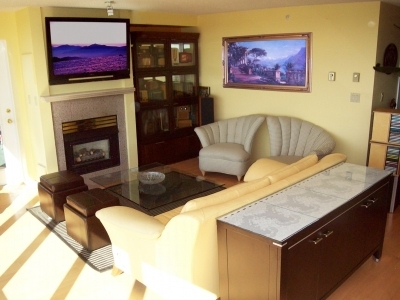 Other features are a heatillator gas fireplace, large 167 sq.ft. covered balcony, 2 secured parking stalls and a storage locker. 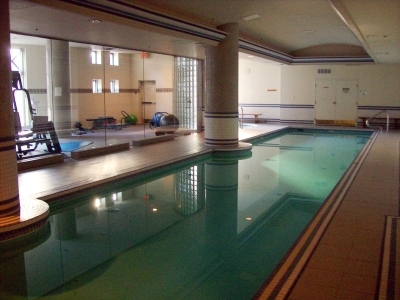 The buildings public amenities are an indoor lap pool, gym facility/exercise room, hot tub, showers, sauna, lounge and games room. 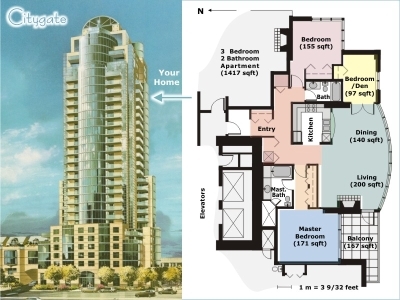 Citygate's location is unrivaled indeed. 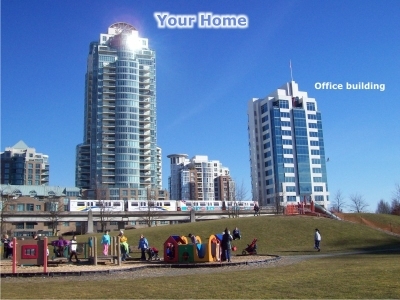 One minute walking distance each to SkyTrain, to Vancouver's main Train Station, to the Greyhound Station i.e. for buses to Whistler, to TransLink's public bus services including commuter service to the Olympic Bus Network, and to the False Creek AquaBus ferry. Half a minute to get to the Seawall, a 6 m wide, 22 km long continuous, mostly seaside, path shared by pedestrians, cyclists, skateboarders and inline skaters. 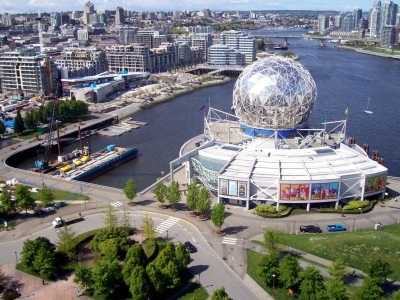 Walk, jog, roller-skate, cycle, or ski -snow given- all the way to and around Stanley Park. 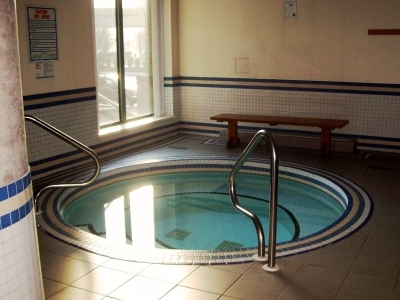 Three minute walking distance to the Olympic and Paralympic Village. 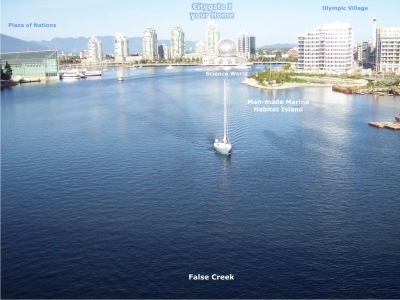 Five minutes to the two main Olympic venues, Canada Hockey Place and BC Place where the Opening and Closing Ceremonies take place as well as nightly Medal Presentations and Victory Ceremonies. Walk five minutes to Chinatown, ten minutes to Gastown, Theater District like the Orpheum, Vancouver Playhouse, Queen Elizabeth Theatre and finally five minutes by foot to Vancouver's Downtown Shopping Malls, the Bentall-, Pacific-, Sinclair-, Harbour-Centres, including the 4 official Olympic Strolls. 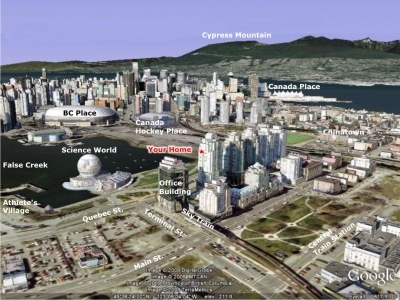 Practically everything is in walking distance - walk for dinner to one of the best seafood restaurants in town, Monks McQueen, find Sushi at the Clubhouse, go for less than 10$ to Kent's Chinese Kitchen, shop groceries, computers and drugs at Costco, or educate your kids and yourself at Science World. A one station ride on SkyTrain takes you to Little Italy on Commercial Drive, or to the two Olympic stadiums in the opposite direction, you really don't need a car for the Games. If, however you plan to stay before and/or after, you will appreciate to have two secured underground parking stalls at your disposal. 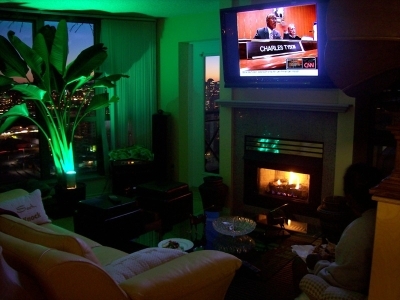 The apartment is booked for the two Olympic weeks, but is still available for the Opening and Closing Ceremonies, the whole month of March, the months November 2009 to mid February 2010, and the time after the Olympics. 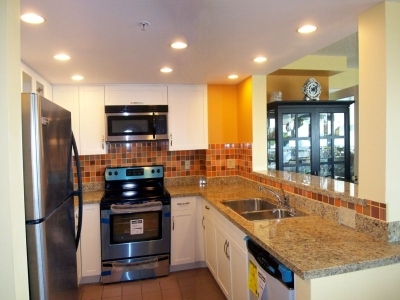 Just in case you like your friends to stay near you, the neighboring 2-bedroom / 2-bathroom / sleeps-6 condo is available too. Sleeps 2 on a queen pullout couch. 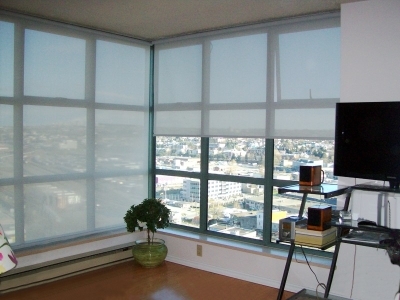 The condo is magnificent, the view incomparable.